Eastern & Oriental Bhd (E&O) has awarded a contract to China Communications Construction Co Ltd (CCCC) to undertake land reclamation works for Seri Tanjung Pinang Phase 2 (STP2) in Penang. 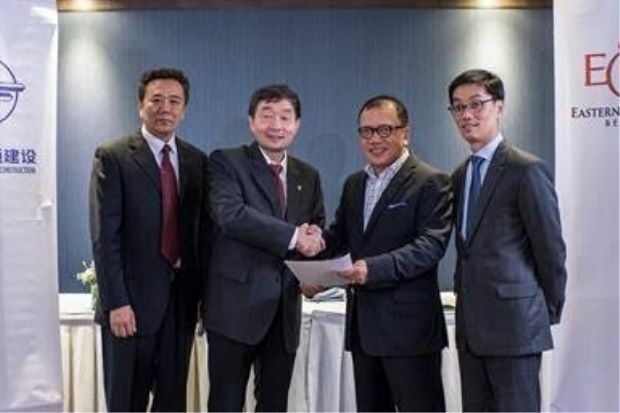 In a filing with Bursa Malaysia, E&O said its subsidiary Tanjung Pinang Development Sdn Bhd had issued a letter of award (LoA) to CCCC (M), a wholly owned Malaysian subsidiary of CCCC, to undertake the land reclamation works. 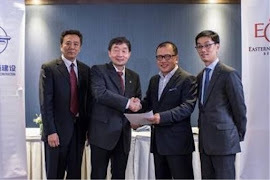 E&O group managing director Datuk Seri Terry Tham Ka Hon said the group had gone through an extremely rigorous tender process that included the pre-qualification of potential contractors prior to the tender submission. “We believe that in terms of technical competency, track record, local project experience as well as contract competitiveness, the shortlist of reputable international firms has led us to finalise the award to CCCC (M),” Tham said in the statement. He added that efforts to secure the financiers for the project were being pursued concurrently and would be finalised soon. “With the reclamation contractor identified and financing arrangements soon-to-be firmed up, we look forward towards operationalising STP2 and bringing the project to fruition with mobilisation and commencement of works targeted by year-end,” Tham said. He added that all relevant requirements and authorities’ approvals were already in hand, including the approval of the project’s Detailed environmental impact assessment study by the Federal Department of Environment, the endorsement of the STP2 masterplan and granting of the planning permission for STP2 reclamation works by the Penang state authorities. CCCC is listed on the Shanghai Stock Exchange and the main board of the Hong Kong Stock Exchange. The group is the largest infrastructure construction and dredging company in China and the world’s largest dredging company in terms of both total capacity of trailing suction hopper dredgers and total cutter section dredgers, the key machinery in the reclamation dredging process. The LoA comprises two parts. The first part involves the acceptance of the tender to reclaim Phase 2A of STP2 (Package 1) for a contract price of approximately RM1.035bil. Phase 2A of STP2 measures 384 acres comprising 253 acres to be reclaimed off Penang’s north-east coast and 131 acres on the Gurney Drive foreshore. The second part of the LoA covers the conditional award for the proposed reclamation works for Phase 2B and Phase 2C of STP2 (Package 2) to CCCC(M) for a contract sum of RM1.285bil, subject to adjustments for exchange rate and fuel price fluctuations, and changes in cost if applicable.